NEW YORK (AP) -- Is Les Moonves' departure from CBS a breakthrough for the #MeToo movement? "I think a lot of people will wrestle with this. On one hand, it will show awareness and acknowledgement of fault. On the other hand, is a donation enough in terms of reparations? Can decades of abuse be repaired and forgiven?" said Amanda Nguyen, founder and CEO of Rise, a nonprofit organization that promotes the rights of victims of sexual violence. "Additionally, Mr. Moonves is still potentially walking away with nearly $120 million. This is still placing more value on a man who abused his position of power than on the survivors fighting for justice and systemic changes." Time's Up, a movement against sexual harassment created by Hollywood celebrities last year, wrote an open letter demanding that the entirety of Moonves' severance be given to organizations dedicated to gender equality. Time's Up, which has raised more than $22 million since January for a legal fund for victims of sexual misconduct, also called for "long-term structural changes from top to bottom." "It's not simply an issue of sexual harassment. It's an issue of a toxic workplace culture," said Tina Tchen, leader of the Time's Up Legal Defense Fund and head of the workplace cultural compliance practice at Buckley Sandler, a Washington-based law firm. "So often, the normal response is to conduct an investigation and deal with the alleged perpetrator and you think you are done," said Tchen, a former chief of staff to former first lady Michelle Obama. 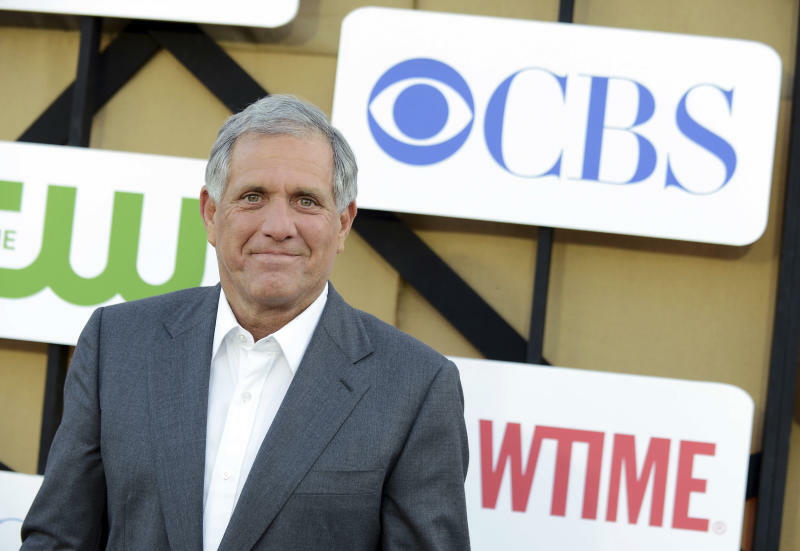 In announcing Moonves' departure, CBS thanked him for his 24 years of service and achievements. Pending the results of the investigation, CBS said Moonves will stay on as an adviser to ensure a smooth transition, receiving security and office services. And it was unclear whether the report on the allegations would ever be made public. Still undetermined is the fate of Jeff Fager, executive producer of "60 Minutes," who is being investigated over allegations he condoned a hostile atmosphere for women. Toni Van Pelt, president of the National Organization for Women, said CBS has shown no indication that it is "ending the culture that allowed Moonves to thrive. That hasn't ended." "The fact that they are still talking about giving him a payment is appalling," Van Pelt said. "What is this advisor for a year madness? Is @cbs insane? Are they watching their own news?" tweeted Hollywood producer and writer Judd Apatow. On "CBS This Morning," news anchor Gayle King called on the results of the investigation to be made public, saying she couldn't see "how we move forward if we at CBS don't have full transparency." Chris Allieri, founder of the New York-based public relations agency Mulberry & Astor, said the corporate culture that allows misconduct to occur at CBS was evident in its handling of Moonves' departure. "Have we learned something or is this just another senior man that has gotten caught?" Allieri said. "Thanking him for his service. That for me, is showing that the bottom line of this company is its stock price and a couple of good series." Regardless of how CBS decides to move forward, Van Pelt said Moonves' downfall demonstrates that times have changed for people in powerful positions. "Her entire life, she felt she had no worth. Finally, with this movement, she has been recognized, and her voiced has been valued," Van Pelt said. "The big lesson is that women are coming out, this tsunami of women are speaking out."